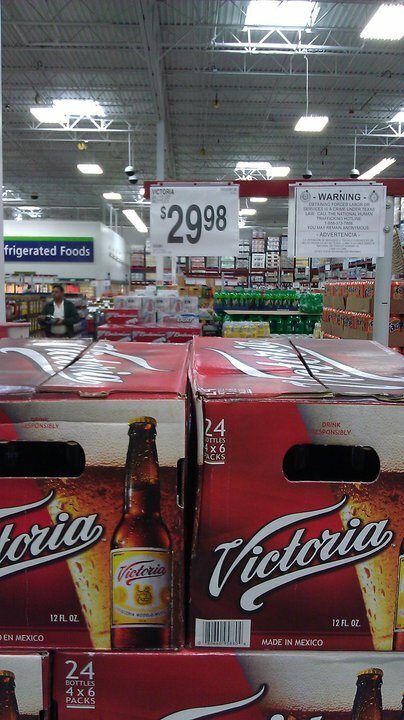 Victoria Beer Now Available in the USA! It's only in the last few months become available in the US. They released it in Chicago first?!?! So someone thought CHICAGO has a larger population that even KNEW what Victoria was? I've had it in Mexico. It's cheaper down there, like 76 cents at 7-11 style cheap. Tha proof, a photo from 3/9/2011 at the Sugarland, TX Sam's Club. Ok, I am really liking my refurb HP Mini 311: HDMI out, pretty good speakers, a real graphics chip, HD resolution screen, built in everything, 3gig RAM capability, Windows 7 Home Premium, in a 3.2lb package. I'd shout from the rooftops if it had a better processor; the Atom is 'OK'. Also: please stop soldering RAM to the motherboard. If that goes bad you're kinda screwed. Manufacturers: Put that second DIMM slot in. This was originally a $399 netbook, but the refurbs from Verizon have been popping up on ebay from well under $300 with a 30 day warranty. This is the 1037NR model, but the models of the 311 are pretty similar. If you're familiar with netbooks you usually get no HDMI, Windows 7 Starter (an insult), 2 gigs max, a graphics chip that won't even play HD video, and a much lower resolution non-LED screen, and half the battery life. I found three critical problems while doing the initial setup: issues I had with devices not being recognized, RAM issues that are actually a driver problem, and a SUPER CRAPPY touchpad driver. This is out of the box, on a fresh system restore, and with Nvidia's 266.58 driver. 1) Built-in webcam not recognized. Just use the Windows device manager to uninstall it, scan for device changes, and it will install a driver. Simple. 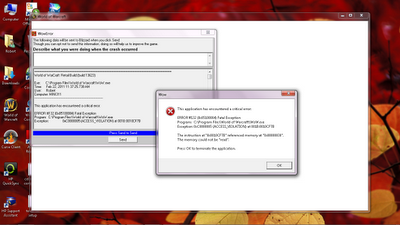 was happy after that minus some minor DIFFERENT errors when the screen saver activated but these are not RAM errors. Disabling the screen saver and screen power off settings will get you a pass on the burnin test every time. 3. HP's trackpad will probably never get as good as Apple's but the driver they include is downright criminal. So bad that you might think your trackpad is defective. The solution: install the one from Toshiba. This is the driver EVERYONE has been waiting for. 1. Has circular scrolling (and verified that it works). 2. Works properly with Hibernation (and verified that it works). 3. DISABLES THE TOUCHPAD if an external mouse if installed (need to enable this, it is disabled by default, verified that this works). 4. Has pinch Zoom as well. 5. Inertial movement, which is kinda nice depending on your tastes. 6. Options to disable tapping, pointer movement, and scroll function during key input." This makes it into a DECENT trackpad, but I'll still pine for how good the one on my Macbook was. Yet to fix: my HP Laser mouse scroll wheel works, but I can't configure the wheel option in the Control Panel: no 'Wheel' tab. Hope this helps, if it did, leave a comment or better yet, drop a quarter in my Paypal donation box on the right.